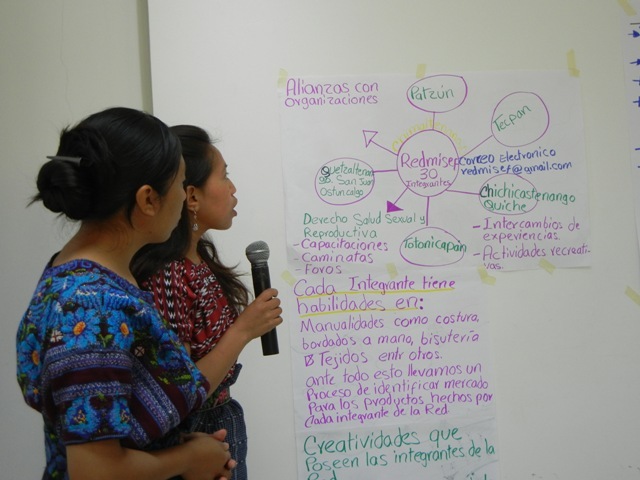 Since 2007, Channel Foundation has been able to give support to young indigenous women’s groups in Guatemala through our funding of the Central American Women’s Fund (CAWF)/ Fondo Centroamericano de Mujeres (FCAM). Channel started funding them through the fiscal sponsorship of the Global Fund for Women and was eventually able to fund them directly with cross border grants via the determination of charitable equivalency (a process by which a U.S. grantmaker evaluates whether an intended foreign grantee is the equivalent of a U.S. public charity). FCAM is the first and only women’s fund in Central America dedicated to mobilizing resources for grassroots women’s organizations working to guarantee women’s rights to physical and emotional integrity, economic justice and to participate as leaders in making decisions that affect their lives and communities. Channel has made flexible, consistent, annual grants of US$25,000 to FCAM for the purposes of supporting the “Strengthening Indigenous Young Women’s Leadership” Project. 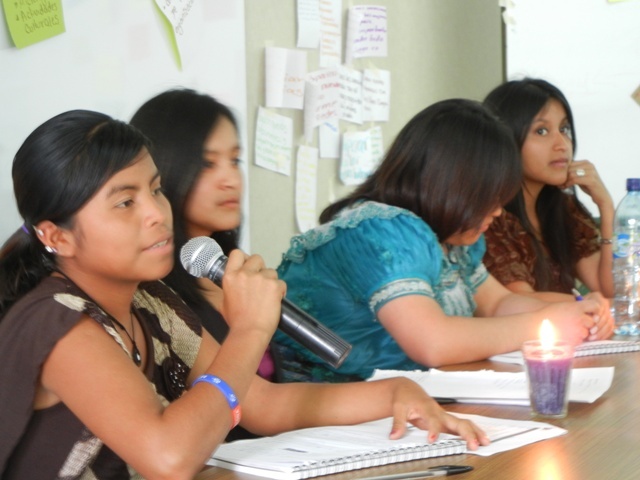 Through this project, funds are directed in the form of small grants of about US$4,000 to $5,000 as well as capacity-building training to several women’s organizations (about four to five different groups annually) in Guatemala that are led by and involve young indigenous women as leaders in defending and promoting their human rights. Partnering with a women’s fund like FCAM has enabled Channel to see meaningful and far-reaching impact in the evolution of under-resourced grassroots groups led by some of the most marginalized young women in their communities. Based in Nicaragua, FCAM has an extensive network and deep ties throughout the Central America region – the kind of on-the-ground connections that Channel cannot possibly have on its own as a small U.S.-based foundation. 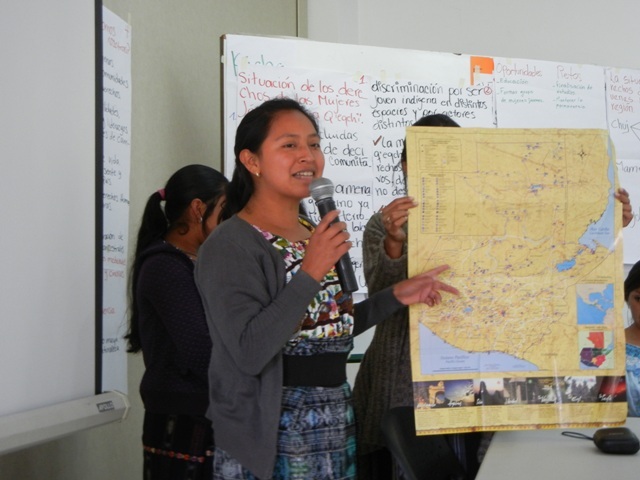 FCAM’s staff members are all part of the Central American women’s rights movement and share a political analysis which values indigenous sovereignty as well as women’s human rights. They are aware of the history of exclusion and discrimination that indigenous peoples have faced and that sadly continues even today. They are also aware of the challenges faced by many indigenous women even within their own families, their communities and within society at large. FCAM developed a unique participatory grantmaking model whereby applicant organizations vote on which groups ultimately receive funding. FCAM also includes technical assistance and capacity building along with their grants (for community organizing, advocacy, and training), so that young indigenous women’s groups can grow and choose their own activities at the same time as they build alliances with mainstream women’s groups. In this way, they are able to connect to larger transnational movements. 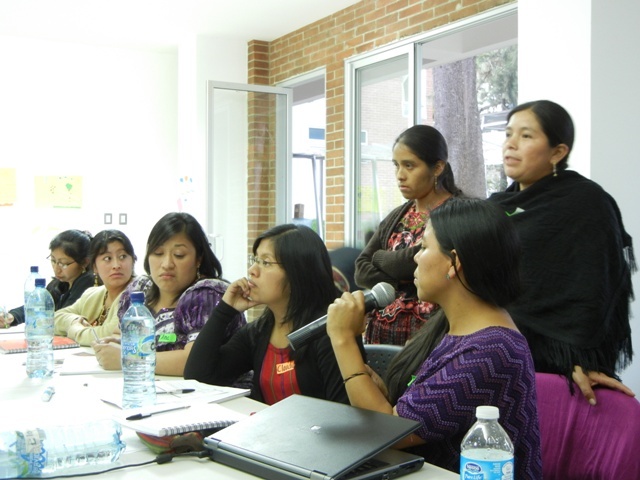 In 2013 when Channel participated in a convening in Guatemala City that FCAM organized with many of the young indigenous women’s groups from around the country, the Foundation was able to see clear impact of the long term support Channel and FCAM’s partnership provides. Vibrant, young leaders described the growth in their expertise, skills, and confidence as they came together and shared tactics, challenges, and successes. Their stories revealed that, aided by FCAM’s connections and steady support, they were experiencing profound personal transformation as well as already bringing about changes for their communities. See photos from the convening above.